Women's Tank Tops|Screen Printing & Embroidery Available|ClothingWarehouse. Trendy. Basic. Sporty. 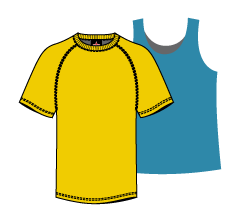 Discover all kinds of discount-priced tank tops for women here, whether you’re shopping for one or buying uniforms for a whole team. Shop basketball muscle tees, show off in a tie-dye, vintage, or printed style, or stock up on standard solid tanks. Find flowy and form-fitting options, plus V-neck or scoop neck styles. Any of the women’s tank tops shown below can be screen printed here with a motto or design, so get creative with ideas.